2. Carnation - Carnations date back more than 2,000 years. They’re rich with mythology, symbolism and even debate, mostly because of the name. Some say that it comes from Ancient Greece, while others argue that it is derived from “carnis”, a Latin word that means flesh, thus bringing out the original pink shade of the flower that is related to incarnation. Carnations are extremely common flowers that symbolize fascination, distinction and love. They can be found in a wealth of shades and color combinations, starting from classic red and pink, to unusual combos of yellow and blue, fuschia, purple and more. 3. Tulip - Tulips became popular in the 17th century when they started invading major European countries, especially Holland. Many people began collecting these tantalizing bell-shaped flowers, thus triggering a trend known as “tulipomania”. Widespread all over Europe in the spring, tulips are available in many interesting colors, starting from red & yellow, to more unusual shades of light blue & purple. 4. Daisy - Although they have the simplest design, daisies are incredibly beautiful flowers. They convey a lot of exuberance and merriment; many people grow them in their gardens, or gift them to their significant others. As for their significance, botanists argue that daisies symbolize purity and innocence. The perennial flower with evergreen leaves has thin, white petals and a yellow center; it can be grown anywhere provided that you provide them enough water. 6. Daffodil - Daffodils are exceptional flowers that symbolize friendship, and they belong to the Narcissus genus. Featuring a trumpet-shaped structure placed against a background in the shape of a star, daffodils come in deep yellow. They flourish in the spring season and they bloom in clusters. Native to the Mediterranean region, these gorgeous flowers can also be found in shades of yellow & orange, white & orange, lime & green, pink and more. 7. Gerbera - Gerberas are part of the sunflower family, and they symbolize both purity and innocence. Because they’re available in a wealth of colors, they’re ideal for decorating a home. This perennial flower features a wide capitulum with outstanding two-lipped ray florets. Even though the capitulum looks like single flower, in fact it hosts many individual flowers. 8. Orchid - The orchid is one of the world’s most graceful flowers. It is an ornamental plant available in beautiful shades of pink, white, deep purple, fuchsia and more. Orchids symbolize strength, beauty and luxury, and in ancient Greece they were related to virility. In ancient Greece, pregnant women fed their husbands orchids in the hopes that their unborn babies would be boys. 9. Iris - Iris means rainbow, and the flower belongs to Iris, a Greek goddess and a messenger of love. The main symbol of this flower is eloquence; irises are exceptional plants to grow in the garden and they’re available in numerous colors, from red and brown to yellow, orange, pink, and even black. 10. Lilac - In the Greek mythology, the story of the lilac flower is quite fascinating. It starts with a superb nymph called ‘Syringa’, which is actually the botanical name of the flower. When the god of fields and forests, Pan, is bewitched by Syringa’s beauty, he starts chasing her. Terrified by Pan, the nymph turns into an aromatic flower, the lilac. The purple flower is an omen to the spring season, and it symbolizes emotions of love and admiration. 11. Gardenia - Gardenias are extremely delicate and fragile flowers indigenous to the subtropical and tropical areas of Australia, South Africa and Asia. These evergreen shrubs have glossy leaves and sheer white flowers with an intoxicating sweet flagrance. Rumor has it that gardenias mean secret love, so there’s definitely some mystery hidden behind this beautiful flower. 12. Jasmine - Scientifically known as “jasminum sambac”, the jasmine flower is a popular species of the genus, and it is Indonesia’s national flower. Extremely popular worldwide, jasmine is native to temperate and tropical regions around the world. Sweet scented and extremely enticing at a first glimpse, its fragrance is usually released in the evening, after the sun was set, and particularly when it’s almost full moon. 13. Magnolia - Appreciated around the world for their flowers and forms, magnolias grow in trees or shrubs. They produce white, pink, yellow or purple flowers and their leaves are evergreen and super glossy. Around the world, there are more than 200 magnolia species, mostly native to tropical, subtropical and temperate regions of Central America, Asia and the Caribbean. The name of the flower comes from Pierre Magnolia, a 17th century botanist; as for the flower’s symbolism, many agree that magnolias represent perseverance, nobility, love for nature and dignity. 14. Hyacinth - The hyacinth flower is a true wonder of nature with narrow leaves that fold lengthwise and fragrant colorful flowers that blossom in crowded clusters. The species includes 30 additional flowering plants and it is originally from Africa and the Mediterranean region. The flowers look like beautiful starfish, and are available in many different shades of deep purple, pink, white, and hybrids. 15. Lilly of the Valley - Can you believe that this incredibly small flower has the most powerful scent? Lilly of the Valley blooms in the spring; it has long, voluminous leaves and bell-shaped flowers that grow in clusters. It’s an extremely interesting plant indigenous to the Mediterranean regions. Lilly of the Valley is fond of shade, and it sometimes spreads too quickly around people’s gardens. Some people know it under the name ‘Mary’s Tears’ or ‘Our Lady’s Tears’; according to various Christian legends, the flower sprang after the Virgin Mary shed tears when Jesus was crucified. 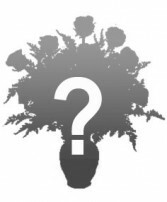 Most floral arrangements will last longer, depending on the care they receive. Keep the flower vase filled with fresh water. Try keeping your flower bouquet in a cooler spot, away from sunlight and especially far away from heating vents. Sympathy flowers are a great way to show support to a family that is grieving the loss of a loved one. Lily: This lovely flower usually blooms in summer, and is often interpreted as a symbol of renewal and rebirth. Rose: This enormously popular flower has very different meanings associated with different colors. Like the lily, white roses tend to represent purity and innocence. Carnation: The carnation is a symbol of love. Some people believe that the word “carnation” came from “incarnation,” the Latin word that refers to God in the flesh. Hyacinth: The purple hyacinth is a famous symbol of sorrow and regret. For a funeral setting, this expression is undoubtedly appropriate. Gladiolus: The gladiolus is a beautiful representation of strength and character. By giving a grieving family this flower, you permanently remind them what lovely people they are and encourage them to persevere on their grief journey. Forget-Me-Not: The meaning of this flower shouldn’t be too difficult to decipher. An emblem of remembrance, the forget-me-not communicates this simple but essential message to a family: your loved one lives on in our memories. What message to write for sympathy or funeral flowers? In Sympathy and Friendship Wishing we could be by your side at this time. We are sending our condolences on your loss. May you find strength in the love of God. We are thinking of you and sending our sincerest sympathy for your loss of someone so dear to all of us. No matter when you were born, there’s one thing every month can agree on, getting flowers for your birthday is great! Check out all the birth flowers our Fort Worth Flower Shop has to offer for a loved one’s birthday celebration, where you’ll find gorgeous birth flowers and more!